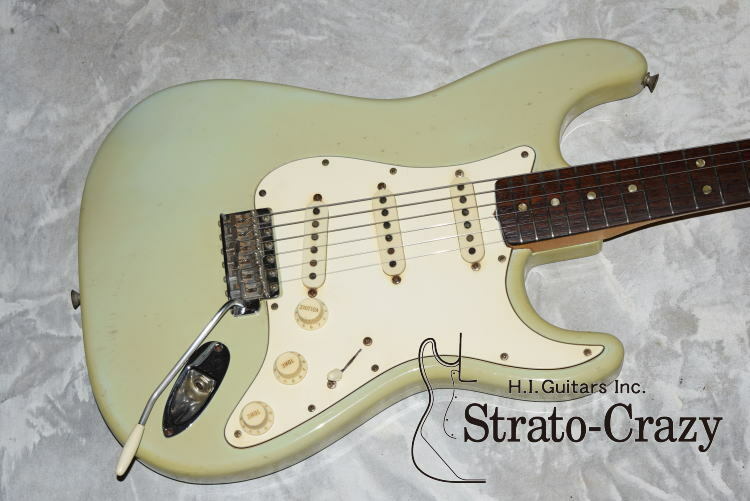 *Dec 65 Neck date, First issue of Lard headstock Stratocaster. *Refret and changed nut, 100% original parts. *Strong wide rage "Rock" tone!! '66 Sunburst/Rose neck <VG-1048> Clean!! *100% original in "Near Mint" condition. *With matched serial number Instruction manual. *With original Black Tolex case and more!! *100% original in " Mint" condition. *With Strap, Closs, Name tag, Strings set...parfect collector's piece!! *Original custom color "Candy Apple Red in "Mint" condition." *100% original, Body syill keep shining and no faded!! *Original '66 Sunburst in more than 9.5/10 consition." *100% original, Body and all metal parts still keep shining and clean!! *100% original, Super Rare, original "Charcoal Frost Metallic" in 9.0/10 condition. 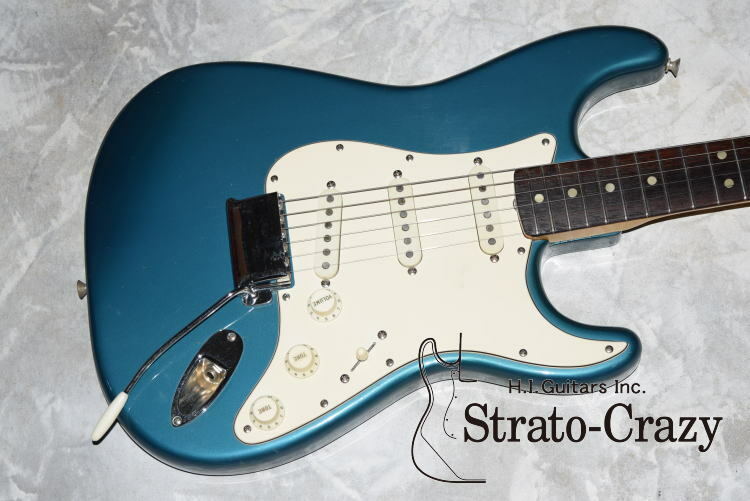 *'67 Stratocaster is hard to find!! *100% original, Custom color "Sonic Blue" in 9.0/10 condition. *Body top coat tuned to "Green" but cool!! 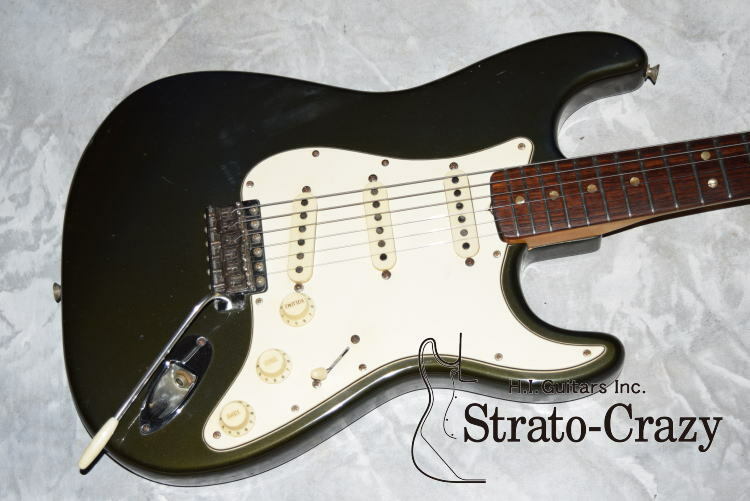 '67 Blond/Rose neck <VG-1883>　Super Rare Spec. *100% original, Custom color "BLOND" in 7.25/10 condition. *Body tcolor turned to "Cleam" and well palied, but Cool!! 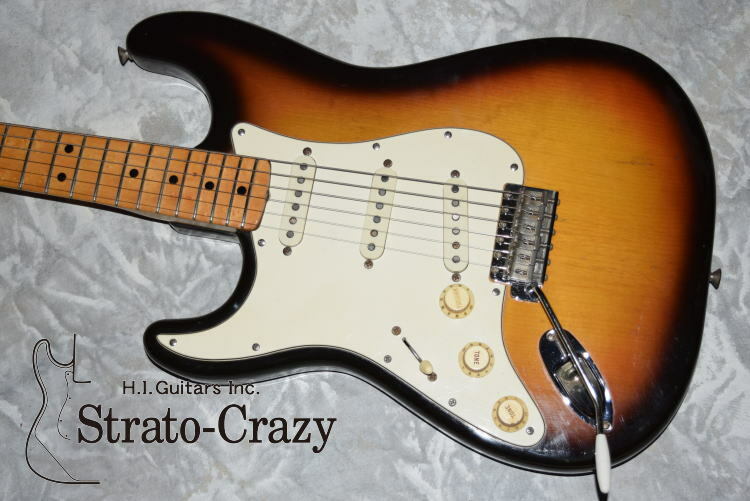 *'67 Stratocaster and Rare"BLOND" color...we nerver seen before!! '67 Candy Apple Red/Rose neck <VG-2131>　Rare & Clean!! *'67 original custom color "Candy Apple Red" Rose neck. *Body "Red" color a little bid faded, but clean and still keep shining. '69 Blond/Rose neck <VG-1196> Clean!! *100% original, Ash body original "Blond" in 9.0/10 condition. *100% original, original Custom color "Fiesta Red" in 9.25/10 condition. *We can not find "Fiest Red" in late 60s to early 70s, Super Rare!! *With original Black Tolex Case, Instruction manual and more!! *100% original, Alder body "Candy Apple Red" in 8.25/10 condition. *Mar. '69 Neck date, Round Pickup's cavity, '69 Pickups...Perfect '69 Spec!! *100% original, Alder body "Candy Apple Red" in 8.75/10 condition. *Body color still keep "Red" and no faded and shining!! *Body color a little bit turned to "Cream" and weather checking on body but cool. *Original "Olympic White" Rose neck in more than 8.25/10 condition. *Body color a little bit turned to "Cream" but cool, Amazing tone!! *100% original, Custom Color "Lake Placid Blue" in 9.10/10 condition. *Super rare, 4Bolt 1piece Maple neck "Lefty" in 9.25/10 condition. *Refret, changed nut. 100% origoinal parts!! '71 Sunburst/Rose neck　<VG-2246>　Clean!! *100% original, Body still keep shining in clean condition. *100% original, Body still keep shining in Near Mint condition. *With original Bridge cover, Strap, Cord...parfect collector's piece. 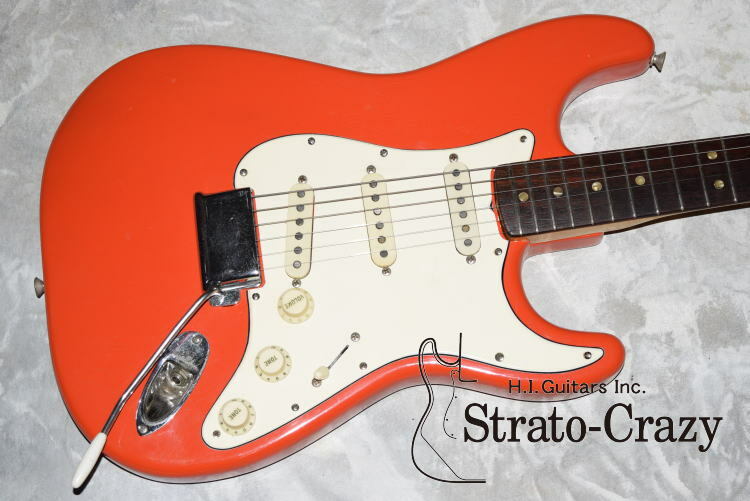 *Super rare, 4Bolt 1piece Maple neck, original Custom Color "Candy Apple Red"
*"WITH SYNCHRONIZED TREMOLO" logo...early '71 speck, only made a few month. *100% original in more than 8.5/10 condition.